Midatlantic IT Services will design a custom security system that is best for your needs. Whether it’s the size of your business, specific considerations for your industry or simply budget concerns, we can guarantee the right Surveillance system for your company. Low-light cameras to enhance night vision. Pan-tilt-zoom controllable dome cameras with 360-degree rotation. Mega-pixel high-resolution cameras to capture details. Long zoom lenses for extreme distances. Bullet proof camera casings to prevent destruction. Effective monitoring of key business areas. Controlled entry into buildings to help prevent workplace violence. Visual verification from digital cameras can be integrated with access control systems, intrusion and hold-up buttons. 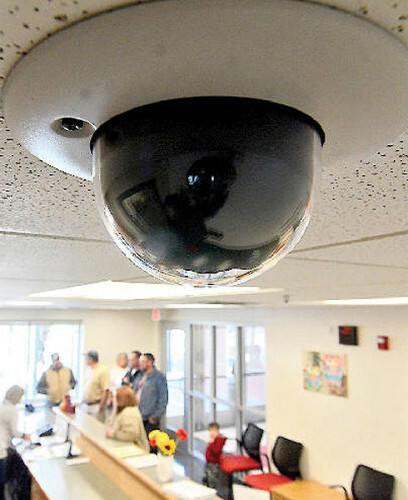 Video surveillance system provides visual theft deterrence. We provide quality & on-time services to our valued customers. Please fill our short form and one of our team members will contact you back.